Beginning in 1928 when it was built and for 84 years afterwards, the Monumental Life Insurance Company occupied what was ubiquitously known as the Monumental Life Building. 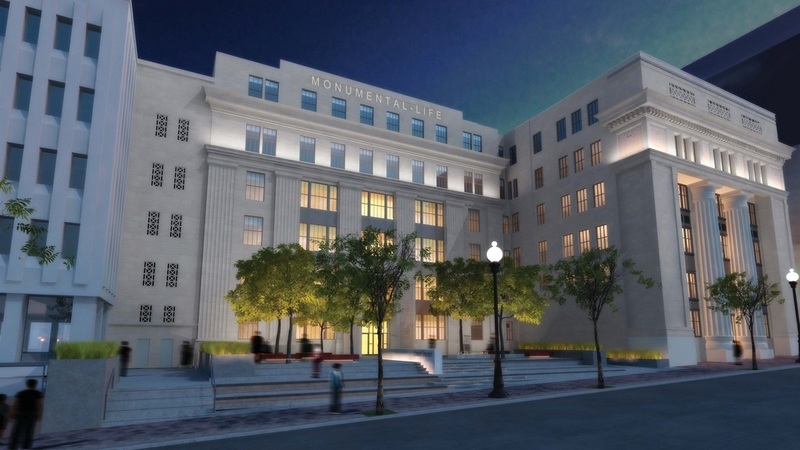 In 2012, however, Monumental Life consolidated offices downtown and moved out of Mt. Vernon. 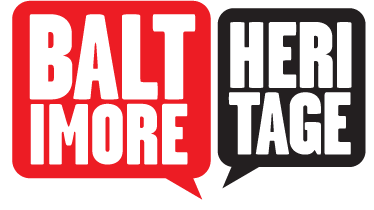 The current owner, Chase Brexton Health Services, bought the building and in short order launched an extensive rehab project. The 6-story building at Charles and Chase Streets had undergone numerous renovations to suit evolving needs, with major additions built in 1938, 1957, and 1968. 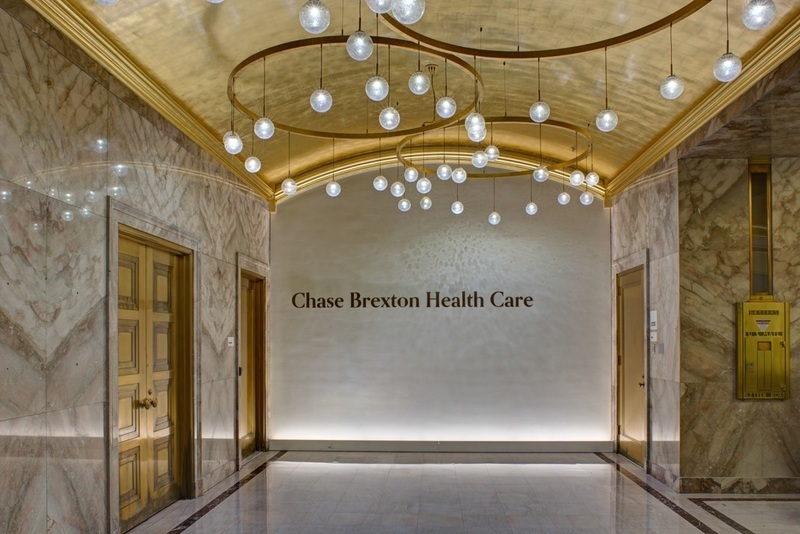 Chase Brexton worked within the historic building envelope to create a health center for patients and staff. The work included repairing the limestone exterior, even keeping and repairing the signature gold lettering spelling out “MONUMENTAL LIFE.” The ground floor, where the most extensive historic fabric remained, included marble walls and floors, which were restored, and imitation gold leaf ceiling, which was refinished using the original methods. An original wood-paneled 1928 Board Room was fully restored after having been subdivided into offices. 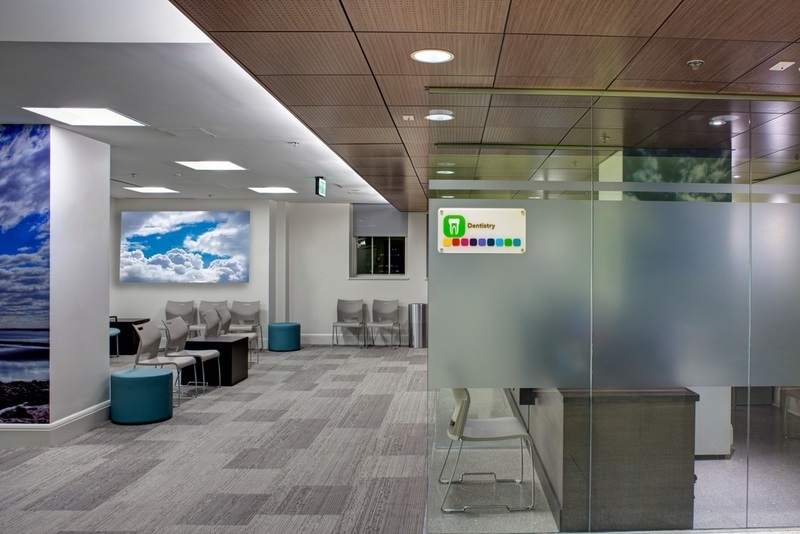 The upper floors had been used as utilitarian office spaces and these were retained and transformed to meet the demands of serving as space for a health clinic. Within a short year, the iconic Mount Vernon Building had not only found a new owner, but also found a new life and promises to serve as a great asset for years to come. Johns Hopkins, “Monumental Life Building,” Explore Baltimore Heritage, accessed April 23, 2019, https://explore.baltimoreheritage.org/items/show/330.